वक़्फ़ की क़ानूनी प्रक्रियाः मुसलमानों के कल्याण के लिए या उन पर शासन करने के लिए? In his letter dated 22 January 2012 addressed to ZFI, Mr Anis Ansari, Vice Chancellor of UP's Arabic, Urdu, Persian University and former IAS officer has strongly supported the creation of Indian Waqf Service. ZFI's Analysis of Report Dated 17 dec 2011 of Rajya Sabha Select Committee on Waqf Bill 2010. Civil Services Examination 2013 - ZFI Fellows - Selection Schedule 2012. Minorities Commission Letter to Mr. Salman Khursheed to Create Indian Wakf Service. 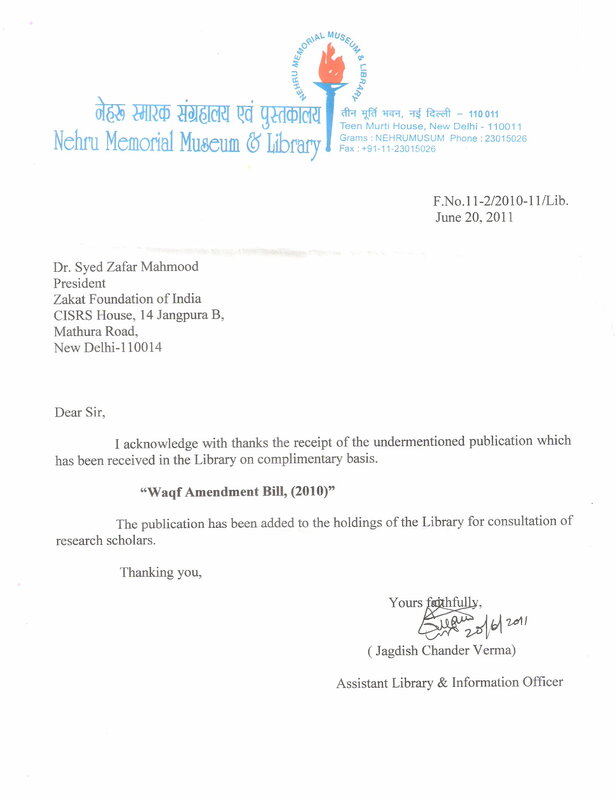 Waqf Bill: Response from Nehru Memorial Museum & Library. Waqf Bill: ZFI's response to Mr. Salman Khurshid's letter. ZFI's Waqf Bill Analysis: Important response received. 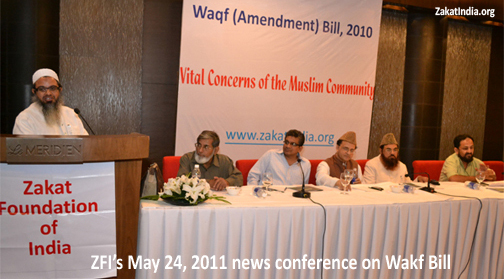 May/June/July 2011 (New Delhi): After extensively studying the proposed Wakf Bill, ZFI feels there is a need for significant review to protect India's Rs. 120 billion (i.e. US$ 26 billion) valued Wakf Lands. Numerous Joint Parliamentary Committee recommendations have been ignored without any mention by the Ministry of Minority Affairs. So have numerous Sachar Report recommendations. Also, click on the VIDEO LINKS below to learn specific details on problems with the Wakf Bill. After ZFI President's Waqf presentation, Maulana Mahmood Madani, Member of Parliament, General Secretary, Jamiatul-Uleme-e-Hind (on the mike) offered to lend all support to the movement for correct amendments in the Waqf Act. On the dais (L to R): Dr Najmussalaam Jalali, Mr Navaid Hamid, Secretary, Movement for Empowerment of Muslims, Dr Syed Zafar Mahmood, Mufti Mohammad Mukarram, Imam, Fatehpuri Masjid and Mr Mumtaz Najmi. Creation of Indian Waqf Service - A Must. Response from Nehru Memorial Museum & Library. 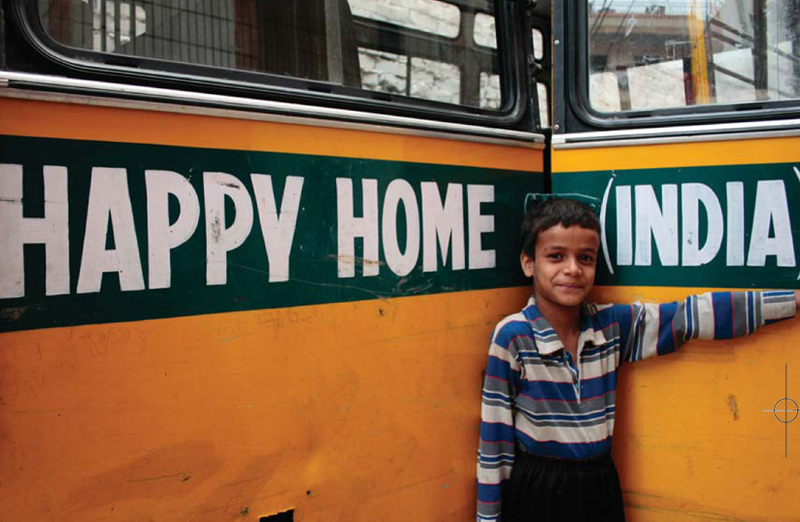 ZFI's response to Mr. Salman Khurshid's letter. New WAKF Bill is in immediate need of review to protect Wakf lands. Amendment Bill takes away Waqf properties from Muslim domain.